1. Tell us about your current job. I started working as a dispensary technician for HPS Pharmacies as a student in 2008 to get some hospital pharmacy experience, and 10 years later I’m still working for HPS… and I still love it! 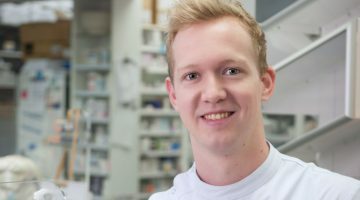 I was lucky enough to secure an internship with HPS Pharmacies in Hobart, and have since had experience with all types of roles at our site, from dispensary pharmacist to pharmacy manager. I’m currently a clinical pharmacist responsible for services to wards in two hospitals covering a variety of specialities. In addition to my clinical work, I have a range of other responsibilities such as vaccine management, stock control, and education activities. 2. Where and when did you study pharmacy? I moved to Hobart in 2005 to study pharmacy at the University of Tasmania, and I graduated with honours in 2008. 3. What’s your passion when it comes to health/pharmacy? When it comes to pharmacy, my passion is to throw myself in; I love to get involved. 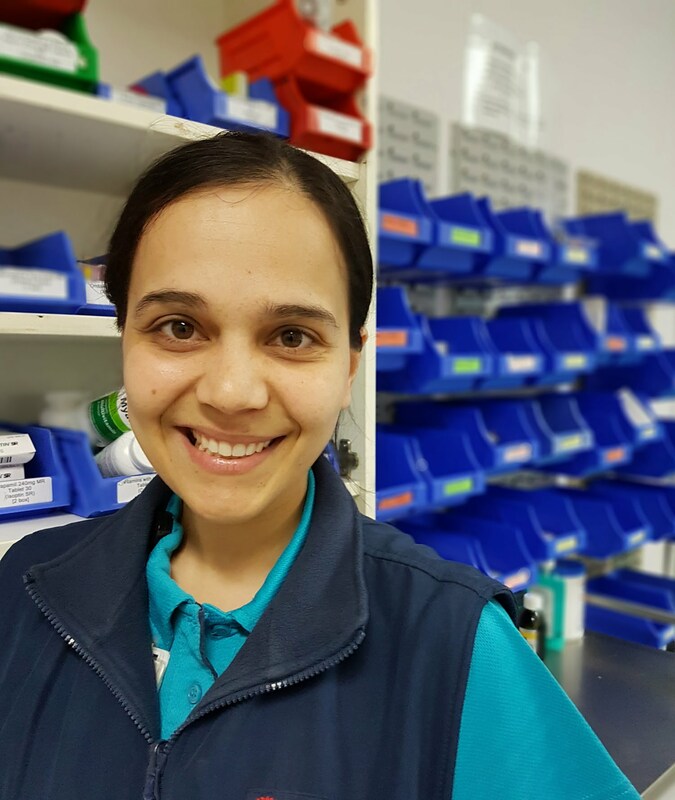 I’m currently a member of the PSA’s Early Career Pharmacist Working group in Tasmania, I often attend pharmacy conferences and seminars, and I’m always motivated for socialising and strengthening bonds with others in the profession. 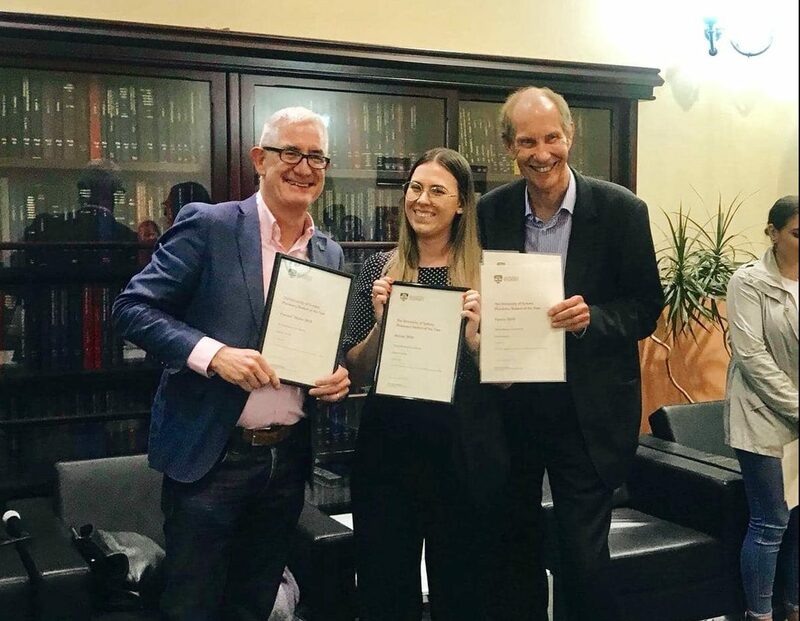 I enjoy learning, so a lot of my career satisfaction comes from completing additional qualifications, for example, I’m accredited by the Australian Association of Consultant Pharmacy and have completed a Diploma of Leadership and Management. I’ve found the right profession for my personality; the combination of constant engagement with people and the need for lifelong learning is perfect for me. This isn’t purely about increasing our scope of practice; it is about ensuring that pharmacists are utilised where medicines are prescribed or administered. I also love to share my knowledge. Some of the ways I do this include writing educational articles, presenting inservices to hospital staff and patients, assisting with staff training, preceptoring students, mentoring, and I’m always happy (and honoured) to help when someone asks me for information or assistance. 4. Do you think anything about the industry or profession needs to change and why? I believe that we need to support and encourage the development of pharmacist roles outside of the dispensary setting. Historically, pharmacists have been viewed as being stuck behind the dispensary counter, but this no longer needs to be the case. We need to recognise the exciting opportunities available to us. I believe that as a profession we need to take steps to promote, support, and expand the role of non-dispensing pharmacists. This can lead to increased job opportunities and variety in the role of the pharmacist. 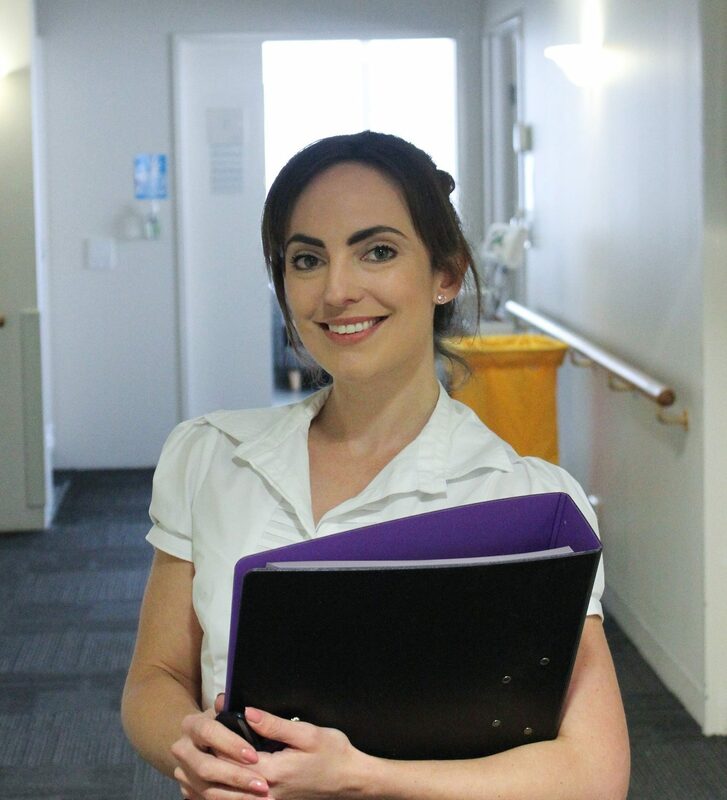 Relatively new roles such as Accredited Pharmacist and General Practice Pharmacist exist, and these roles are proving to be rewarding and stimulating. Such roles still require nurturing in order for them to become better accepted and available in the community. Pharmacists are now able to provide vaccinations, perform medicines use reviews, and assist with disease state management. Activities such as these lend themselves to improved collaboration between healthcare professionals. If we can improve these roles, and create new ones, we can further develop this promising expansion of pharmacist practice. Perhaps we might see pharmacists placed in other areas – for example, supporting and collaborating with dentists or physiotherapists. Such areas of society utilise medicines without adequate access to a pharmacist, but as medicines experts, we should be actively involved. 5. If you could give any advice to young/student pharmacists, what would it be? Spend time in multiple pharmacy settings. I worked in both community and hospital pharmacy while I was a student which enabled me to make an informed decision on where I wanted to focus my energy. If you’ve finished studying and you have the opportunity to work casually in an area you aren’t already working in, I would encourage you to do so; this can increase your confidence as a pharmacist and open your mind to alternative strategies for practice. Put yourself out there. Get involved with other members of the profession. Seek out members of the pharmacy community who are positive, motivated and love what they do. These individuals are the most likely to inspire you. Getting involved is important for your future career prospects, and can help you to develop contacts leading to amazing opportunities and experiences. Widening your net of contacts can enable access to valuable sources of information and experience that you can draw on, and can lead to offers of work experience or job opportunities that you may not have otherwise been able to access. Sometimes it’s not just what you know, or who you know, that’s important; it’s who knows you. Previous Poll: Who should be our next Health Minister?